Boss battles are arguably one of the most exciting things about video games. Ask the average gamer what their favorite boss battles are and they’ll most likely smile while recalling the first time they faced them. In case you are not familiar with the term, the “boss” is typically the super difficult character you face at the end of a level or sequence of levels. Bosses have been around since even the earliest video games and show no sign of disappearing any time soon. But just like we can all think of great bosses, we’ve all also encountered terrible ones that were either boring, too easy, or felt impossible to beat. That is why we’ve shared four things to consider while designing your own bosses so players always remember the moment they first got clobbered by them. Have you ever noticed how in most sports you’re getting excited before the match or fight even begins? Whether it’s ‘fake’ like WWE or a huge boxing match, there’s promotion going on to make the contenders seem bigger and better. The same is done with a good boss fight. This is usually done with a cutscene that demonstrates how dangerous and powerful the boss is, but it can also be through dialog from characters or text logs seen beforehand. For the perfect example, consider the last fight in one of the best Action Adventure games ever made— The Legend of Zelda: Ocarina of Time. The player is forced up a long stairway as ominous organ music plays before encountering Ganondorf himself. As he plays, a helpless Zelda can seen floating above him. Ganondorf then floats into the air and pounds the ground, almost destroying the floor entirely and setting up the arena. 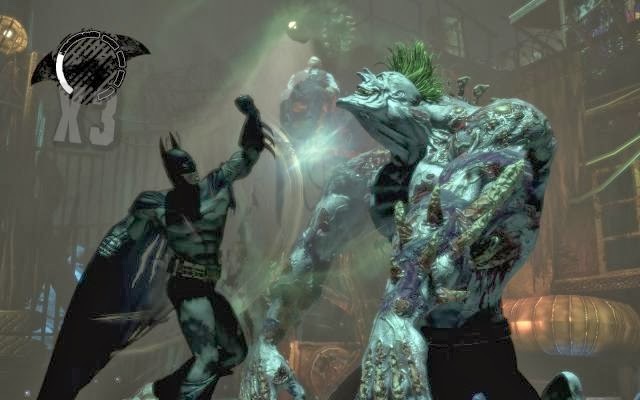 The first minutes of Batman: Arkham Asylum are pretty straightforward. Players learn basic moves like how to attack enemies, counter their attacks, throw a Batarang, etc. But when Batman encounters what are called Deformed Titans for the first time, players quickly realize that the same routine isn’t going to work. The Deformed Titan teaches players that sometimes the best thing to do is simply dodge, then quickly jump in to attack. The fastest way to defeat it is by making it run into an electric force field, showing players that their environment will play a big part in getting through the game successfully. The coolest bosses are always the ones that play an important part in the story. Usually this involves squaring off with the main antagonist at the very end of the game. For example, it’s always exciting encountering Ridley in a Metroid game since you know he’s served as Samus’ biggest rival during her bounty hunting career. Story aside, bosses can also make the world more captivating and believable. 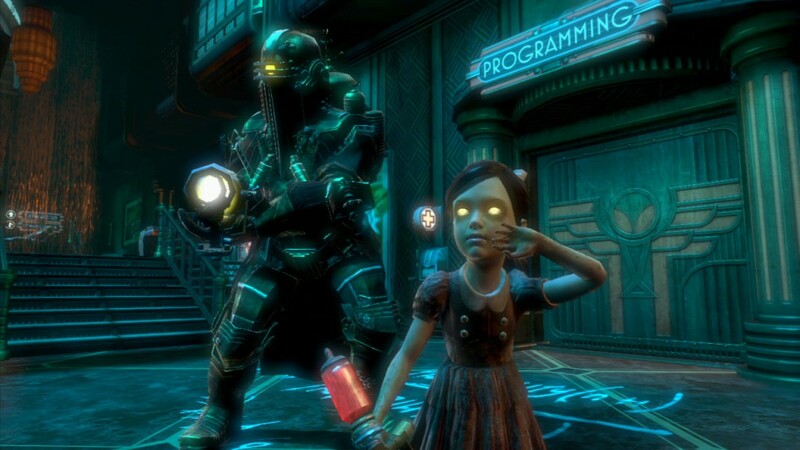 Who could forget the first time they made the mistake of attacking a Big Daddy in Bioshock, only to get pummeled to death? Despite having mowed down plenty of Splicers, players realize they aren’t’ the only force to be reckoned with in Rapture. Usually the first boss you face is merely meant to make sure the player has learned all the basic controls and understands the game. If it’s an RPG, the player might learn how to attack, defend, use items, or that elements play a big role. In an Action-Adventure or First-Person Shooter, players will learn the importance of avoiding damage while moving in or aiming to hit weak points. Of course, this isn’t enough for future bosses. Later ones should force players to use a new item or ability they recently obtained in order to succeed. Otherwise, players will find the game boring from lack of challenge. 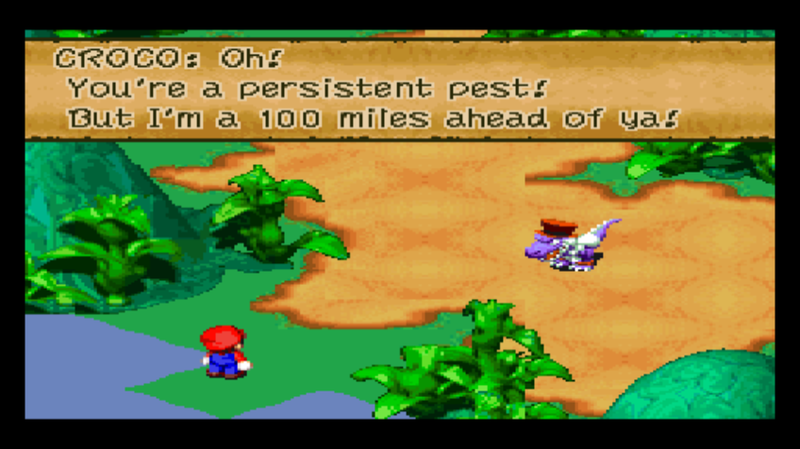 In Super Mario RPG: Legend of the Seven Stars, players fighting Croco will have a rough time if they don’t give Mallow the healer role and stick with Mario’s Fire Orb attack. This fight also teaches players to always have a healthy stock of items (Honey Syrups in this case) and to level up their characters so they can unlock new abilities.